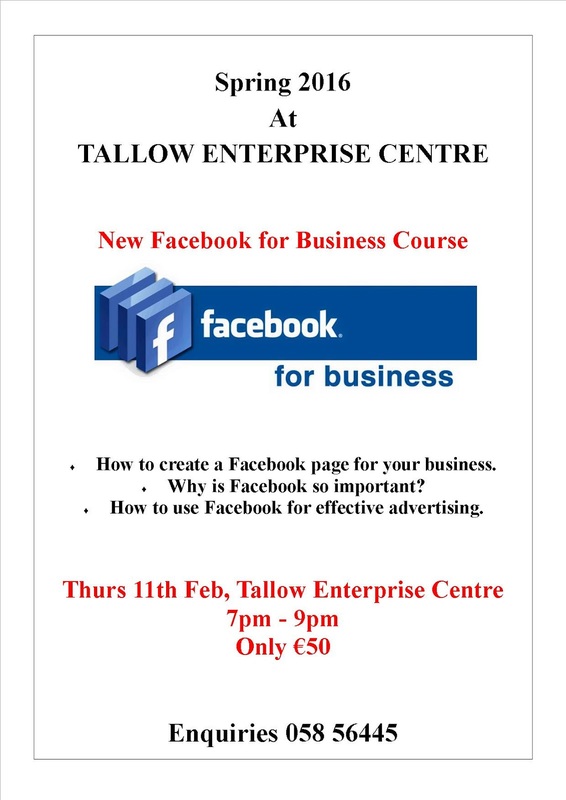 A new Facebook for Business course will take place in the Enterprise Centre on Thursday 11th February from 7pm to 9pm. The cost is only €50. Don't miss out on this opportunity to discover what using Facebook can do to promote your business! For further information, please contact us on 05856445. 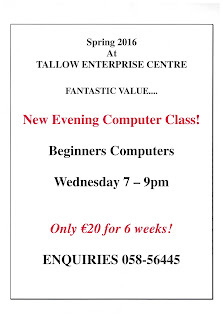 New evening class in the Enterprise Centre! 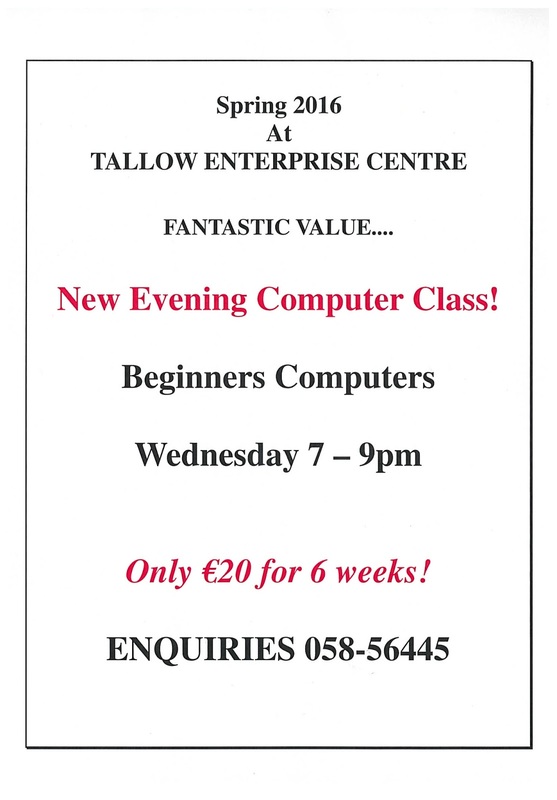 Beginners Computers on Wednesday evenings from 7 - 9pm. Only €20 for 6 weeks. Please contact us on 058 56445 for more information. 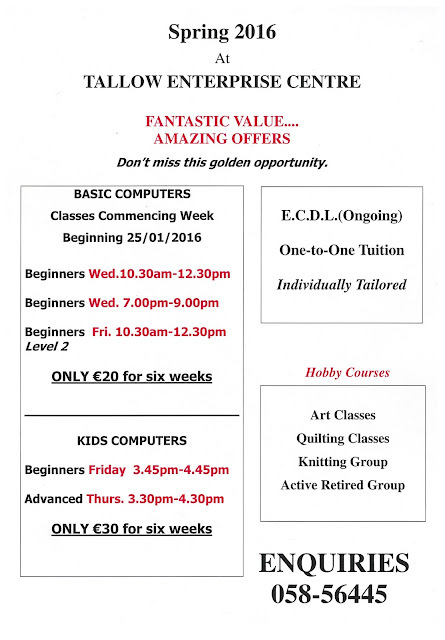 New courses now available for 2016! All courses beginning the week of Monday 25th January. 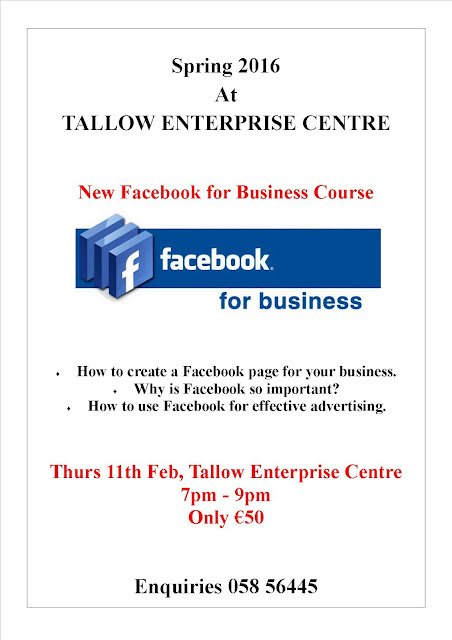 Please contact reception on 058 56445 or info@tallowenterprise.ie for more information.